What’s the Best Poker Training Site? The best poker training site is the one that fits your needs and style as a player. The best site for your poker strategy study is going to be the one that makes sense to your bankroll, whether you play live or online, whether you play low or high stakes, and how you like to study. Sound overwhelming? It’s really not, because your options are limited. Due to the rich and rocky history of poker training sites, there are fairly limited options. All of the surviving and thriving training sites are basically top dog in their niche. And at the time of writing, there are very few (ours is one exception) that appear to be growing in their service offering. With so few options, you have no excuse not to do the research and read reviews before you make a major poker training purchase. It wasn’t always this way, and to understand why, let’s take a quick dive into the rich history of training and strategy in poker. Doyle Brunson’s Super/System (1979) was the first blockbuster success in poker training. 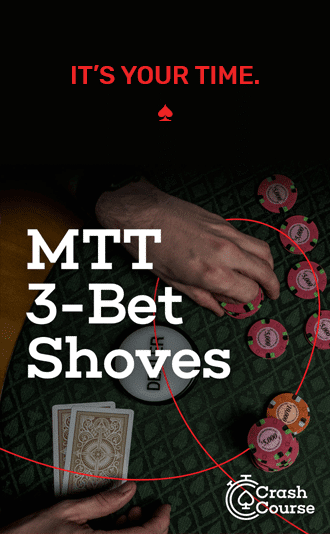 This thick tome still sits on the shelves of many serious poker players, and while it’s full of outdated concepts, it’s also full of strategies that have stood the test of time. The poker world was still incredibly small at the time. The WSOP only had a few dozen participants. There weren’t a ton of card rooms in America. And for decades, the extent of poker training were books written by poker pros, theorists and authors such as Dan Harrington. Poker training was niche — there were few coaches, and most people learned advanced theory through these books, if they bothered to learn advanced theory at all. This all changed with the famous Moneymaker effect in 2003. Internet poker was in its infancy when Chris Moneymaker won the 2003 WSOP poker. His fairytale rise to world champion, coupled with the advent of sponsored, televised poker supported by online poker site advertising, created a boom in poker no one expected would grow as large and fast as it did. 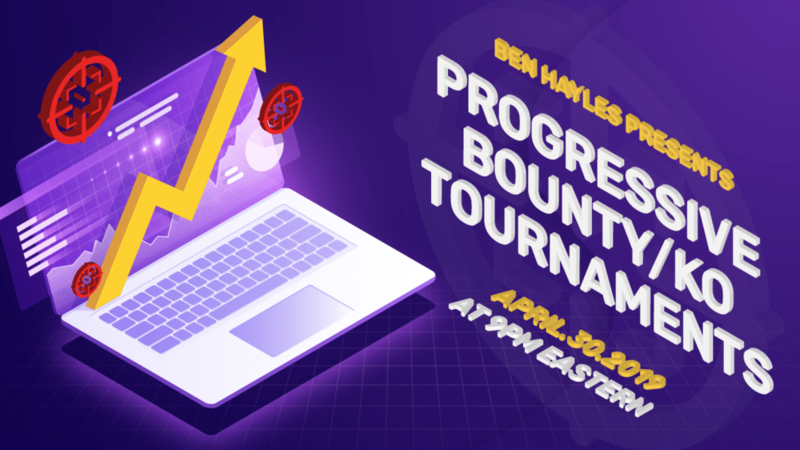 Soon, hundreds of thousands of players worldwide were logging on to play against incredibly soft online fields full of amateurs who were getting into poker for the first time. Cash games were lucrative, tournament prizes were huge and fields were easy to cut through for a good player. During this time, the forum Two Plus Two was a breeding ground and watering hole for many of the day’s most skilled and studied players. If you could crack the social code, you’d get access to advice from pros and coaches, but a new trend was emerging: The poker training site. It’s important to remember that online video was just coming into its own in the post-Moneymaker era. YouTube was founded in 2005, for example. 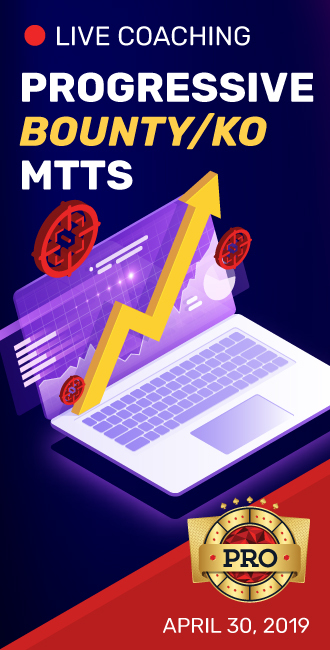 Soon thereafter, sites like Stox Poker, Cardrunners, Pokersavvy Plus and DeucesCracked offered videos from top names in online poker, breaking down the strategies they used to win. Pretty soon, even poker celebrities like Daniel Negreanu were building their own branded training communities. On April 15, 2011, known as “Black Friday” by online poker players, poker training sites were hit hard. The DOJ seized all the major poker sites in the US, and effectively outlawed online poker overnight. Poker training site customers customers not only had their bankrolls in limbo due to the litigation, but they had nowhere to play. To say the nascent poker training site business collapsed in on itself would not be an understatement. All poker-related businesses faced a war of attrition and you can count on one hand the number of those original poker training sites that are still around and producing new content on a regular basis. After Black Friday, poker entered a sort of nuclear winter of survival. The games got much tougher because only the diehards were left. The easy money was gone. Black Friday had undone most of the progress the Moneymaker Effect had made. But then something interesting started to happen: Live poker started to grow. It happened slowly, steadily. Player by player. It was no Moneymaker effect. It wasn’t like new poker rooms were opening up all across America and expanding all over the place. But the infrastructure that had already existed was now getting more attention as the only game in town. The people who could not do without poker were driven offline and into real card rooms. This is where Red Chip Poker enters the story. We here at Red Chip Poker had a simple hypothesis: There was a growing number of live poker players looking for advice on how to beat $1/$2, $2/$5 and $5/$10. And they didn’t have a poker training site + community that was dedicated to their needs. The reaction was immediate — players had been looking for a site like Red Chip Poker for a long time. The audience grew as the site’s content library accumulated, and in late 2015 the site went from monthly downloads to an “all-you-can-eat” streaming video membership with over 70 hours of video content. Red Chip proved there was room for (and value in) a brand new poker training site. There was still a poker scene, it had just shrunk and transformed into a legion of live players. Red Chip also embraced poker strategy and analysis software, using these tools off-table to quickly and vastly improve play on the felt. By mid-2016, Red Chip had one of the most popular poker podcasts, two new strategy videos per week, and hundreds of players discussing poker in the forums on a daily-basis. It all went to show that Black Friday did not kill poker, it merely transformed it. The games were tougher, the hours were longer, but it was still possible (and necessary) to dominate the game by being the most studied and hardest working player at any table. Again, there are very few remaining poker video training sites, and we’ve mentioned many of them already. The poker training site you go with these days reflects what kind of player you are. There’s Red Chip Poker for live players between $1/$2 and $5/$10, there’s CardRunners and RunItOnce for mid-highstakes online players. Even more exciting, a host of sites like PokerSnowie and Advanced Poker Training are using AI and advanced algorithms to do interactive poker training involving playing versus the computer. The real question is: What if anything will make poker resurgent in popularity? What’s the next Moneymaker Effect? We’ve previously researched the pace of legalizing poker in America and found it to be glacial. It usually takes several years for a state to go from even discussing the idea of legalizing poker to its becoming a reality through bills passed in state legislatures. To date, only a handful of states offer legal online poker, but that list is growing, however slowly. Years go by and then another state is added to the legal list — this is likely to continue for some time in the US. What could be the equivalent of a Moneymaker effect? Perhaps having a celebrity win the WSOP main event would create some attention. Perhaps some sort of (unlikely) legislative or legal breakthrough on the federal level to make online poker legit again. The good news is that poker is not dead in the U.S. The culture of poker is still strong in America. It is, after all, a national pastime that originated here, still played in home games and around the dinner table all across the country. Even in the age of e-gaming, poker remains strong — poker is even one of the most popular games to watch on livestreaming site Twitch. We’ve already mentioned how much tougher the games are now, both live and online. So poker training is essential. It boils down to a simple but powerful truth: If you are actively studying poker and working on your game off-table, you have an immediate edge over other players who are not as knowledgeable. We all know that the number of players who are not actively studying the game is certainly non-zero. In many games, the number is high and includes the majority of the table. The idea that a player is so good they don’t have to study is misleading, because even the best winning players will continue to evolve and improve their game. They may not dedicate the hours and days to it that us low stakes players do, but they understand they need to continue working on their game off the table if they want to keep winning. With poker evolving at an insanely-fast pace – it’s crucial to study and stay ahead of the curve at all times. Because the games are tougher, we see poker training sites like ours becoming more popular. There may come a day when those who study poker are in the majority at the table, but for the time being, that is by far not the case. Simply studying with a training site gives you a huge immediate edge that only grows with time. So What’s the Best Poker Training Site? Ultimately, we strongly encourage you to check out every poker site before you decide which one to stick with. We can’t give you a specific “Best Poker Training Site” because: (a) We’d shamelessly pick ourselves, and; (b) only you know what the best poker training site is for you. Your Game – There’s a different site to suggest depending on whether you play mostly cash or tourney, live or online, high stakes or low stakes. Video Specs – Can you access all the videos in the training site, or just a section? Can you view on multiple devices? How big is the video library — how many hours of video? Is it HD or potato quality? How long are the videos? And perhaps most important of all: How frequently are new videos added? Community – Does the site have a forum with a community of players and pros that can help you study and analyze hands? If you want to make friends in the poker community and have fun in pursuit of profit, you can tell alot about a site by hanging in their forum for a few days. Coaches/Pros – If you like a particular superstar coach, chances are they are somehow associated with one or multiple training sites. Shoot them a Tweet or email and see what they recommend.